We shot a short video for this recipe as well. You can view it below. For more videos, you can subscribe to my You Tube Channel. 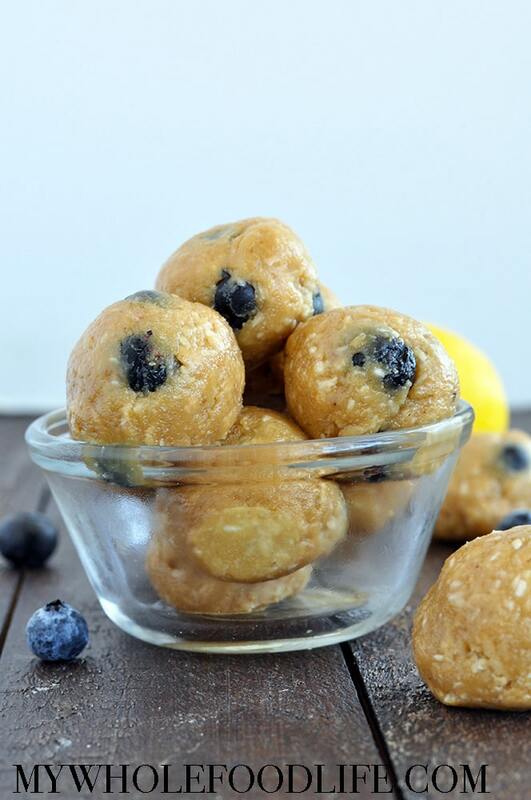 Just a handful of simple ingredients to make these Lemon Blueberry Energy Bites. No baking required. Perfect to fuel your day. Vegan, gluten free & paleo! In a mixing bowl , add the cashew butter, maple syrup and lemon juice. Mix well. Then add the lemon zest, almond flour and unsweetened coconut and mix well. Lastly, add the blueberries and mix. Using a cookie scoop , drop bites onto a lined baking sheet . Keep these in the fridge once set. Exactly how many grams of Protein are in one of these little bites?